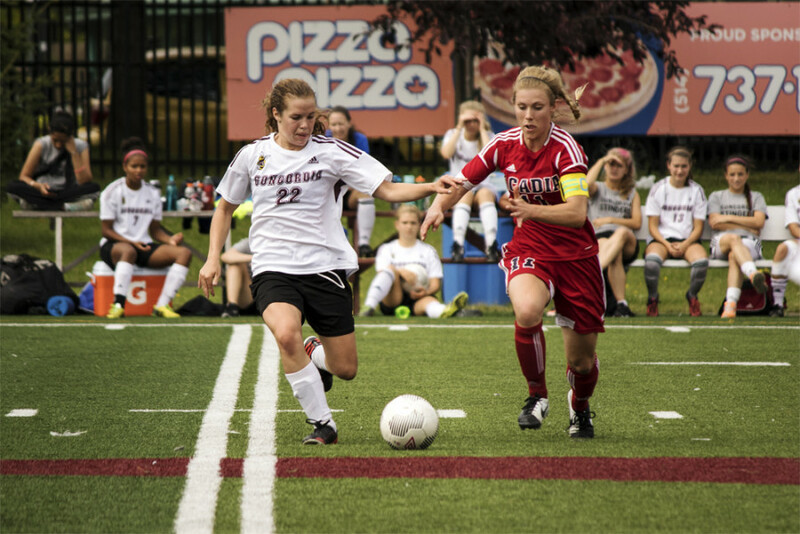 With preseason coming to an end, and a new campaign up and running, the Concordia Stingers women’s soccer team are looking to make an impression on the league come this fall. It was a rather lackluster season last fall for head coach Jorge Sanchez and his staff. The Stingers finished in sixth place in the Réseau du Sport Étudiant du Québec with a 4-9-1 record and ten points out of a playoff spot. Last season’s Stingers squad had displayed several impressive performances, but were not decisive enough to show the results—a problem Sanchez looks to rectify this time around. Despite a handful of departures from the team, including star forward Katelyn Fournier, Sanchez wasted no time integrating new players to help boost his team. As a former central defender, Sanchez has preferred a more defensive minded approach, but the Stingers seemed to have found a new groove. The Stingers went undefeated in preseason, winning three and drawing one, including a convincing 3-0 win over the State University of New York in Plattsburgh Cardinals. The team displayed a strong tactical performance at midfield and were quick on the attack. The Stingers’ ability to find the short passes was an aspect to their game that sorely lacked last season. After an impressive preseason, and a summer of recruitment, the Stingers will looks to make their mark, and make a significant rise in the standings. The Stingers looked to have started their season off on a positive, grabbing a point away from home with a 1-1 draw over rivals the McGill Martlets. However the Stingers will feel they should’ve gained all three points if it wasn’t for a late striker by Martlets forward Striker Daphnee Morency. The Stingers will look to seal all three points on Friday, September 9 as they face the Université de Montréal Carabins in their home opener.